Slippers are a hot favourite among men today. When it comes to leisure footwear, nothing can match the comfort of slippers for men. Slippers are super comfortable and also look trendy with your casual attire. Rediff Shopping brings to you a wide range of casual slippers online to choose from. Whether you want rubber or leather slippers for men in dark or light colours, you are sure to find the right pair for yourself. Slippers for men can be worn with your shorts or track pants on all your casual occasions. 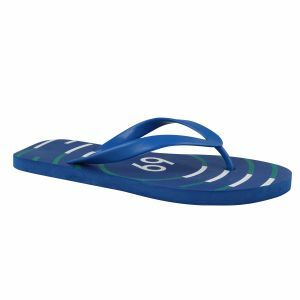 Whether you are going to shop something at the local market or for a casual meeting with your friends, casual slippers online are the perfect pick. Slippers for men are ideal for people those who hate lacing or unlacing their shoes. Explore a wide variety of casual slippers online only on Rediff Shopping. At Rediff Shopping, you can choose a pair of slippers from a variety of colours available. You can find a good range of slippers in terms of colours, strap styles, prints and so on. Choose the one that suits your style and requirement. The best part about flip flops for men is that they can be worn at any time of the year. Slippers are easy to wear and maintain. They can be worn with shorts, jeans, cargo pants and more. However, if you are wearing traditional clothing, have a look at leather slippers for the perfect ethnic look. Rediff Shopping houses a wide variety of slippers from top brands like Action, Hitz, Bacca Bucci and more. The slippers are stylish, high on comfort and are available at pocket friendly prices. Buy slippers for men online on Rediff Shopping and step out in style today.